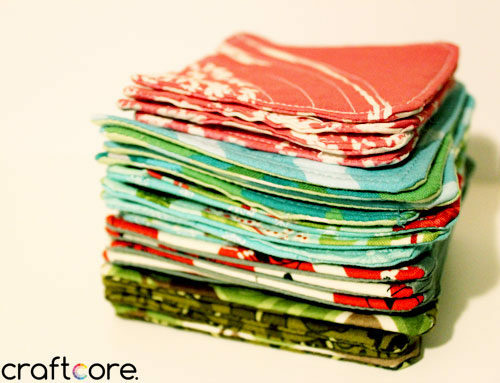 I absolutely love making fabric coasters with quilting cotton and quilt batting. 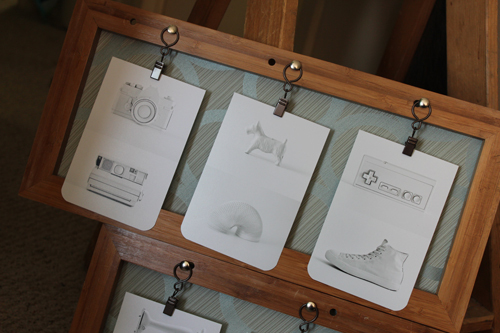 They make great gifts, and it’s fun to use little bits of your favourite prints in a small satisfying project. I’m sharing a few sets of coasters I sewed for coworkers for Christmas last year. I didn’t share them at the time I made them because I didn’t want them to be seen before the recipients received them. 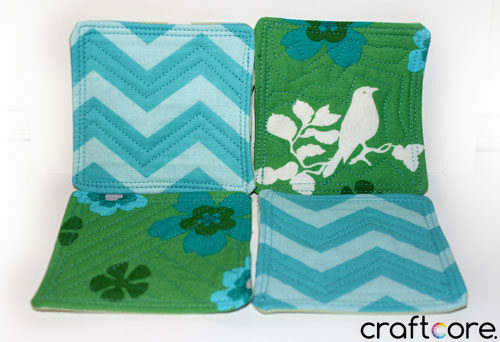 You can learn how to make your own quilted coasters (so easy!) 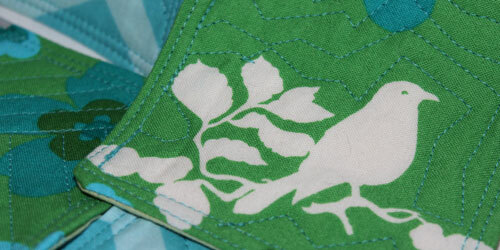 from my Quilted Coaster Tutorial – Read Now! Because they are so small, you don’t necessarily need to quilt them, but you should at least top stitch around the outside to help them keep their flat, pressed shape. I bought a few Christmas charm packs to make a quilt with (the quilt top is assembled but still not quilted, sigh…), but I had a few leftover squares. I made these ones into a half square triangle design with minimal top-stitching, choosing to sew two lines of stitches around the outside. I believe the fabric print is by Moda. 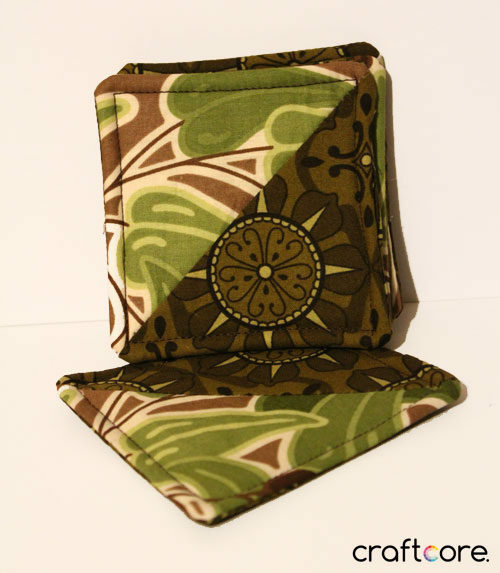 I barely had enough of these fabrics to make this quilted set of four coasters. I played with the quilting on these, adding dimension to the chevrons by stitching within the shape. 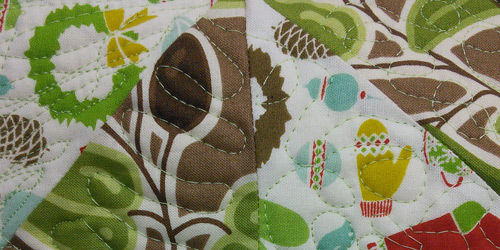 For the green ones, I quilted on impulse. 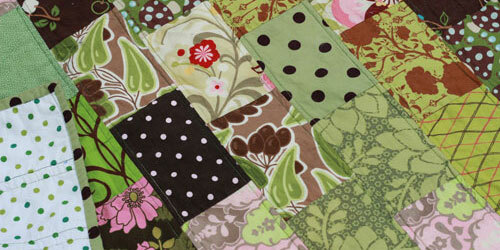 These fabrics are left over from my Green and Pink Brick Quilt and my Comma Quilt. 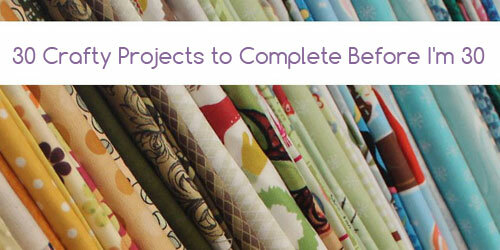 I love these fabrics a lot, so I let them stand on their own with just a single stitch line of top-stitching. This white, black, and red print always reminds me of Japan. 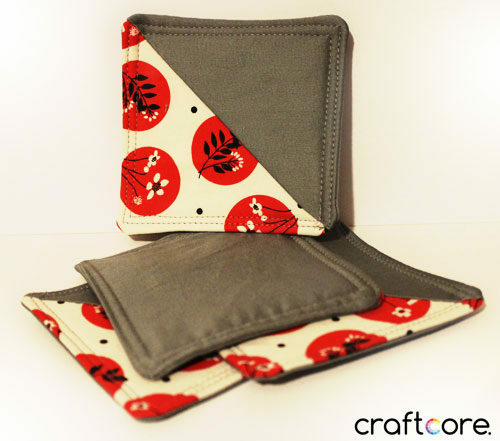 I used a soft grey solid for the half square triangle and the back. Similar to the Elf coaster, I used top lines of top-stitching. There is something so satisfying about a stack of completed coasters! 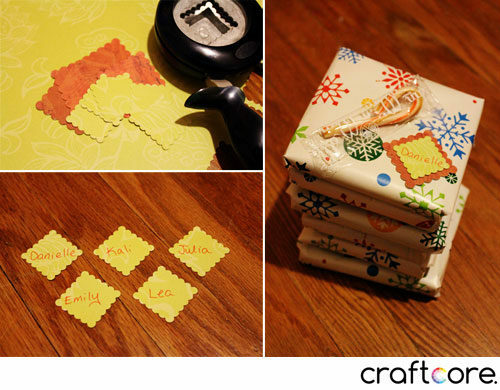 I wrapped the completed coasters in festive wrapping paper and used a XL and L sized Fiskars stamp punch to make the gift tags. 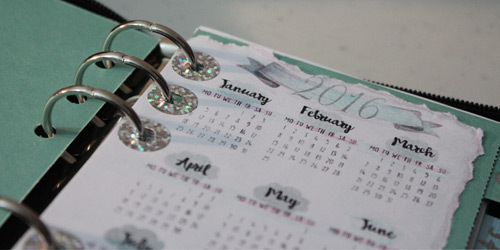 There are only 13 days until Christmas, but I haven’t decided what my homemade gifts will be this year! I’m running out of time, as usual. I always procrastinate when it comes to Christmas! Have you got your gifts ready? 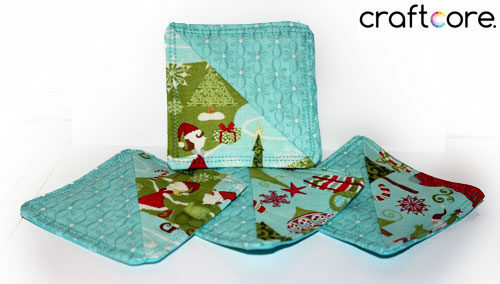 If you want to make coasters like these for Christmas, be sure to check out my Quilted Coaster Tutorial.